Free entry – no equipment needed but please wear trainers. 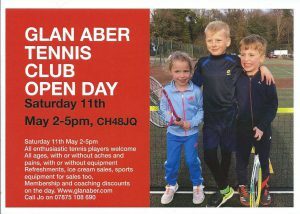 All ages and abilities welcome – refreshments available plus sale of tennis racquets, clothing and footwear. Membership/ coaching offers available on the day.